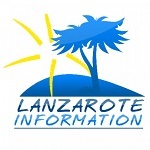 The tap water in Lanzarote isn’t really suitable for drinking, so most people who live here buy large containers of water from the supermarkets with their weekly shopping. But it’s a real pain! You fill up your trolley with the 5 or 8 litre containers, hump them into the boot of the car, do the same from the car to the kitchen, and then you’d got the problem of storing them somewhere. Add to that, if you get it wrong and run out, it means an unplanned journey to the shops. Local company Agua Clara has a solution – they fit filters to your kitchen tap so you can use the water in the house for drinking, cooking and making teas and coffees. We’ve had an Agua Clara filter for years, and we love not having to think about buying water. 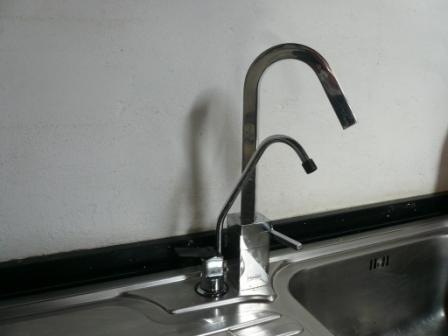 As you can see from the image above, the filtered tap sits alongside our main kitchen tap. The company can fit the filter system in about an hour. It’s manufactured by Doulton in the UK and has two elements – a sediment filter and a ceramic filter. The two filters remove fine particles, pathogens, chlorine and heavy metals and produce wonderful, clean drinking water. The two elements are replaced every six months, and it costs considerably less than buying water from the supermarket or even having a home delivery. For more information, get in touch with Ray from Agua Clara.